Description: [pro-SHOO-toh KROO-doh sahn dahn-EE’ehl-eh] Cured, Boneless San Daniele Ham, the rival of prosciutto di Parma. Made in and around San Daniele del Friuli, an area considered to have the ideal microclimate for aging meat. 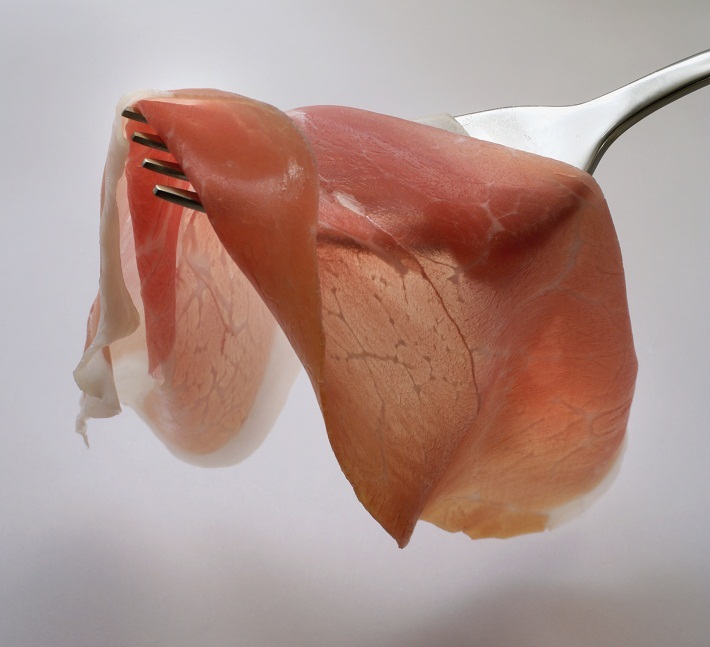 Prosciutto San Daniele is aged no less than 12 months. It has a dark pink color, strong aroma, and sweet flavor. San Daniele ham is produced only in the Friuli Venezia Giulia region, in the hilly area around the town of San Daniele in the province of Udine, in the extreme north-eastern part of Italy. Recognisable by its typical guitar-like shape, the presence of the trotter and the Consortium brand, Prosciutto San Daniele is made solely of the meat of pigs born and bred in Italy and sea salt. It is a natural food product with no additives or preservatives of any kind. Its high nutritional value and ease of digestion make it suitable for any type of diet. La Mozzarella © 2019. All Rights Reserved.